I had the opportunity today to go and visit the result of one of last year’s grants. We agreed to grant match a school in St. Fergus, near Peterhead, who wanted to raise money to buy an indoor climbing frame for the gym in their school as part of their Leavers’ Legacy. The Primary 7 students who were leaving and moving to ‘Big School’ would be passing something on to the future students. Previous projects for the school included revamping the school’s library and buying some playground games. 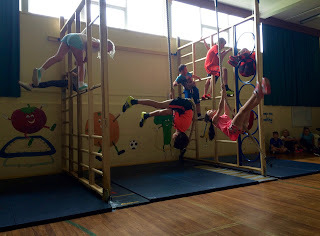 The children were incredibly excited about it, and rumour has it that the current batch of Primary 6 students are already brainstorming for what they’d like to do. 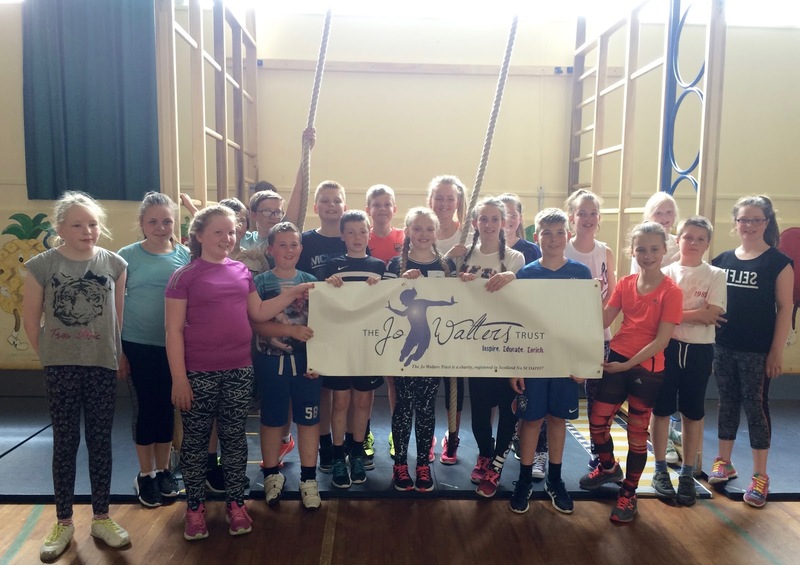 In order to raise the money for their climbing frame, the students had to work out what they were going to do, and settled on a family Ceilidh evening in March. They planned the evening, organised posters, table decorations, had a stovies tasting session and even arranged for the local radio station to give them publicity. I have to say, I was seriously impressed with their entrepreneurship. All told, they raised £1250, which is a phenomenal effort. Coupled with the £1000 that we had agreed to provide meant they could get the climbing frame they wanted, and I’m told that each extra bit of money meant a slightly improved climbing frame. They chose the beautiful apparatus, thoughtfully bearing in mind that the littlest pupils wouldn’t be able to manage it if it was too difficult. The climbing frame arrived on Friday, and the children only had yesterday to practice a brilliant 5 minute routine for display today. Everyone took part, and managed to show off their skills, and it was genuinely wonderful to see the happy faces and the result of one of our grants. 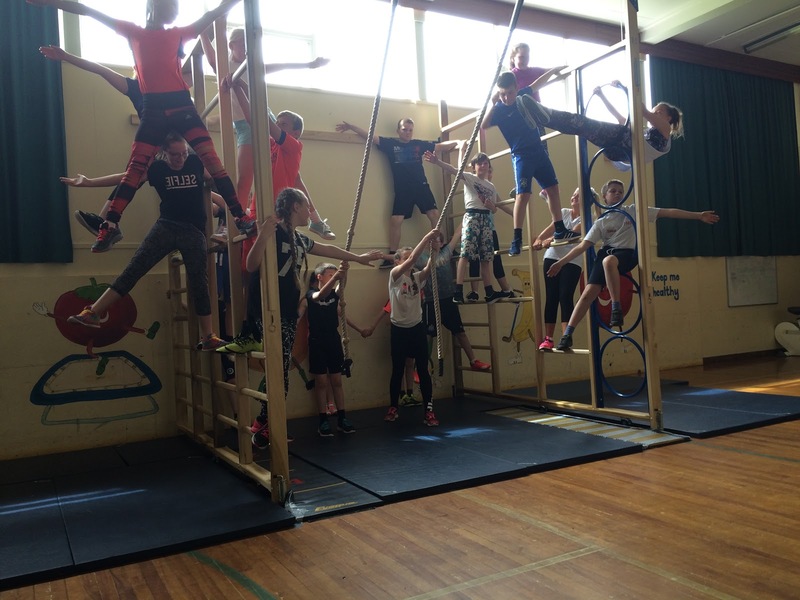 Well done, St. Fergus P7s!